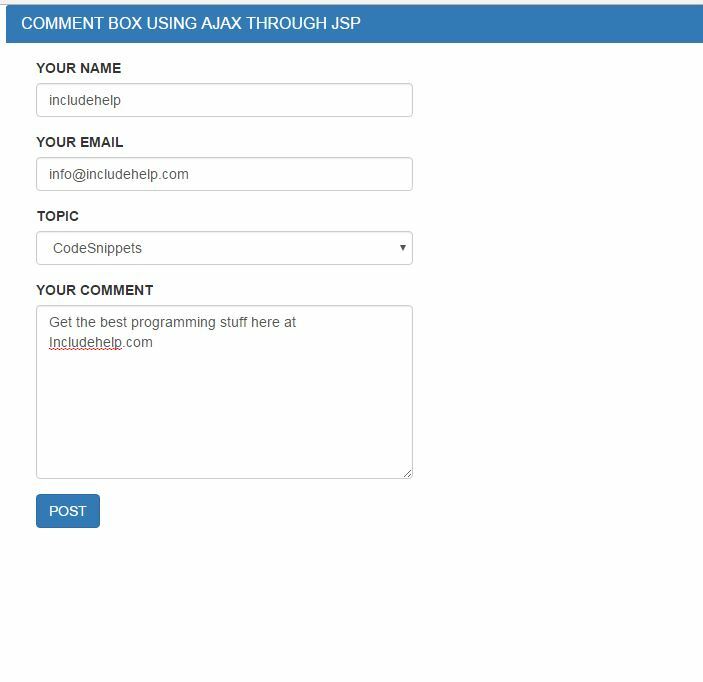 Learn: How to design comment box in Bootstrap using AJAX, MYSQL and JSP (Java Server Page)? If you are new to AJAX, then read this post first (AJAX Request in JSP - An Example). 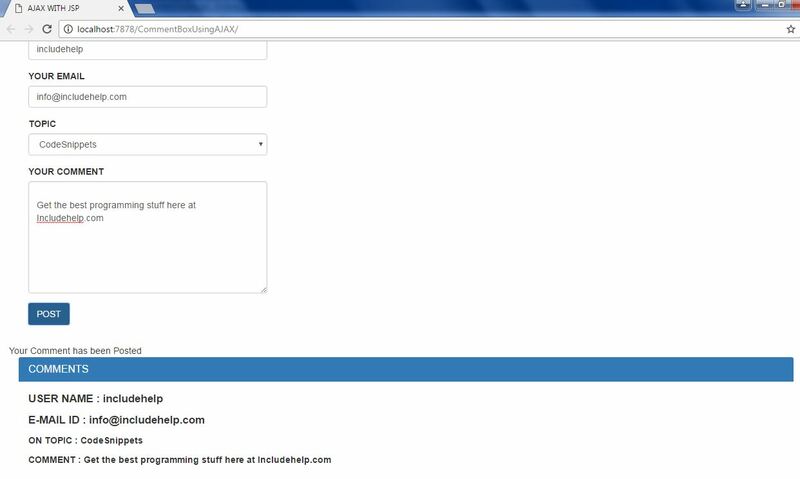 This is a Comment Box Design using AJAX, so without any reloading of the page the user can post their comment. Here we have created the HttpRequest object and values which are input by the user, sent via the URL. Here we are handling the request parameters and pushing the values to database, soon as the executeUpdate() we are displaying the values.